The Barksdales stand as strong champions for providing life-changing educational opportunities in Mississippi. After serving as president and CEO of Netscape until its merger with America Online in 1999, Jim Barksdale moved from California back to his home state and began investing resources into educational initiatives. 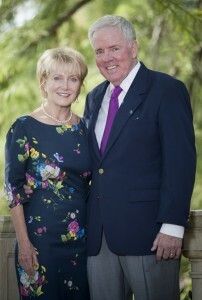 He and his late wife, Sally, provided the $5.4 million gift in 1997 to found the Barksdale Honors College at the University of Mississippi, their alma mater. It was renamed the Sally McDonnell Barksdale Honors College following Mrs. Barksdale’s death in 2003. The presence of the Honors College greatly contributed to the University’s successful quest to shelter a chapter of Phi Beta Kappa, the nation’s most prestigious undergraduate honors organization. In addition, the Honors College encourages high-performing students (1,143 for fall 2013) to remain in the state for their college careers and equips them to make significant contributions through their professional work and servant leadership to Mississippi and beyond. Donna Kennedy Barksdale has joined her husband, as the family directed continued investments in the Honors College, now totaling more than $27 million. The Sally McDonnell Barksdale Honors College has been named as one of the top three in the nation at a public university. The Barksdale family also funds full scholarships at the University of Mississippi Medical Center. The scholarships first began in 1999 to encourage highly qualified African-American medical students to stay in Mississippi for their medical training. The scholarships are named in honor of physicians in the Barksdale family: Dr. Bryan Barksdale and Dr. Don Mitchell of Jackson and Dr. Fred McDonnell of Hazlehurst. Jim Barksdale — who currently heads Barksdale Management Corp., a philanthropic investment company — also gifted $100 million to the state of Mississippi to create the Barksdale Reading Institute. One of the goals of the institute is to improve significantly the preliteracy and reading skills of Mississippi’s children from birth through the third grade. The institute has teamed with an array of entities to implement its reading model. Consistently throughout her life, Donna Barksdale has provided leadership to every organization with which she has been involved. In education activities, private business, public philanthropy, and church and civic engagement, Mrs. Barksdale has demonstrated initiative, integrity, and concern for others. She was deeply involved with the Youth Employment Project (YEP) in Jackson, Mississippi, which provides students at Lanier High School an opportunity to work in real-world settings during the summer and helps to prepare them for college and for professional careers. Mrs. Barksdale serves on the Executive committee of the board of America’s Promise Alliance, the nation’s largest partnership dedicated to improve the lives of young people. 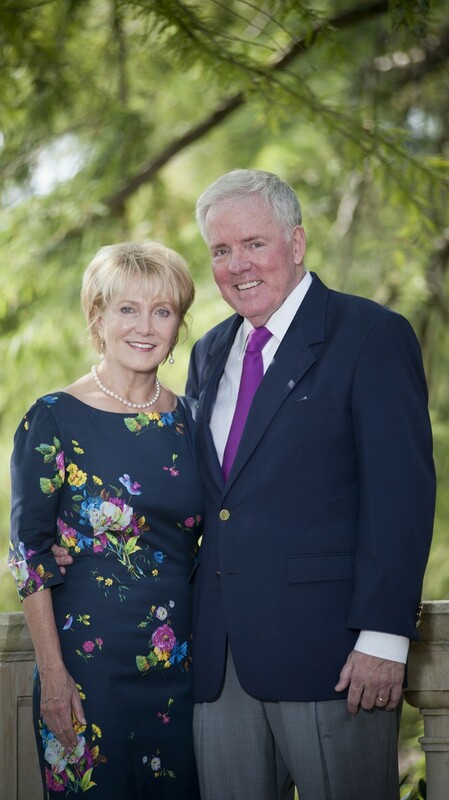 Both Jim and Donna serve on the board which was founded by Colin and Alma Powell. She serves on the board of Alignment Jackson, the B.B. King Museum, and the Mississippi Arts Commission. Among many other activities, she previously served as a board member of Habitat for Humanity, Mississippi Literacy Foundation, Jackson Chamber of Commerce, United Way and Operation Shoestring; founding member and chair of Leadership Jackson; president of Junior League of Jackson; and deacon of her church. Since 1991, Mrs. Barksdale serves as president of the import company Mississippi River Trading Company. She designed and manufactured her own line of clothing in China and Mongolia for 12 years.